Today's Dentistry | What is the Connection Between Diabetes and Dental Health? What is the Connection Between Diabetes and Dental Health? What’s the connection between Diabetes and Dental Health? Did you know that people with Diabetes are 2x more likely to develop serious gum disease? This is due to the body’s decreased ability to fight germs that invade the gums. Because of this it is so important to visit the dentist every six months and in some cases more often if you have been diagnosed with gum disease. If you look at it another way, seeing a dentist regularly may help in detection of diabetes since severe gum disease can be an indicator of diabetes. Not only can severe gum disease (periodontal disease) be an indicator of diabetes, it is the most common cause of tooth loss. Periodontal disease that is not addressed can also adversely affect those having joint replacement surgery. If gum disease is not monitored and addressed prior to joint replacement surgery, there becomes a higher risk for infection of the surgically replaced joint. Infection in an artificial joint can be devastating. It is our goal to help our patients reach and maintain optimal oral health. 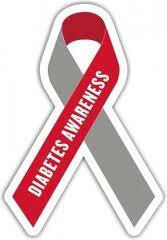 Please share with us any comments or questions you may have concerning diabetes and oral health.